*These statements have not been evaluated by the Food & Drug Administration. These products are not intended to diagnose, treat, cure, or prevent any disease. *These statements have not been evaluated by the Food and Drug Administration. This product is not intended to diagnose, treat, cure, or prevent any disease. 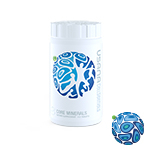 †Some images and text in this publication are the copyrights of USANA Health Sciences, Inc. and are reproduced with their permission.